if i said i had spirulina ginseng, the more kind-hearted amongst you would feel a degree of sympathy and wish me well for the treatment, and while that's very nice of you, spirulina ginseng is actually rather good for me, and for you too. 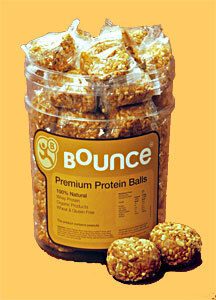 bounce foods produce the rather innuendo tinted 'bounce balls', and not only in the aforementioned 'flavour'. the more daring amongst us can choose from premium protein balls (easily the yummiest - sort of like peanut butter with nuts on the outside), pecan and cashew (very smooth), fudge walnut (didn't get on with that one at all, but then i've never liked fudge) and almond balls (ok, confession time - haven't tried that one yet). bounce balls are lovingly created for busy or sporty people (makes you wonder why they sent them to me) providing a 'light energy boost' without a sugar rush because the components are low on the gi scale. i took a couple out with me on saturday's 100k+ ride, though i also played safe with a couple of jam sandwiches (the spirit of graeme obree lives on). unfortunately, i probably chose the wrong balls for the occasion - if you see what i mean - since the cashew and pecan and the ginseng only contain around 169 -179kcal, and on a ride that burned off well over 3000 calories, a few more wouldn't have gone amiss. total carbs in one ball average 21g, which is around half that of a powerbar. the protein ball contains 209kcal which would have been a few more, but i think it might make a bit more sense to munch on one or two of these after exercise since protein might help your recovery. bounce's promo literature does claim these are low calorie snacks, which isn't quite what the hungry cyclist wants. of all the variations, the ginseng looks the most disgusting, being a dark green inside, but look the other way and it tastes ginger peachy (metaphorically speaking). pricewise, the bouncy balls come in at £1.40 to £1.60 which does seem a fraction over the top, considering a powerbar costs around £1.25 for an extra 6g or so. i don't want to put these in too much of a negative light, but they'd be more the sort of thing the healthy cyclist might snack on during a tasty moment watching cycling.tv rather than anything you'd pop in the back pocket to keep you going up the col du kilchiaran. bounce products are available from health food stores throughout the uk, so if you fancy a healthy snack for those 'off duty' moments, have a bounce. still a few months to go before we hit the 2007 world road championships in stuttgart, and if you read interviews in the press and on the web, the course seems to suit everyone apart from those who cycle quickly uphill for a living, but then that would seem to be the case every year. so while the current road champion, bettini, gets to wear his stripey jersey, helmet, shoes, mitts and pretty much everything else, not many of us would be seen out on the sunday club run wearing similar (nor the yellow, or polka dots to be honest - people would laugh). however, when it comes to leisure wear, and leisure wear with a retro look to it, it behoves the cyclist to enlist the aid of something that marks you out as such, particularly to the underground club also known as cyclists. does this make sense? well if it does or it doesn't, take a pop across to the prendas website and gloat over the jersey (above) that is for world champions of yesteryear, or pretty much anyone that's happy to pay the £99.95 (about $200 at current rates of exchange). and how cool would you look in one of these? doubt if bettini's got one. a bit closer to now, the giro starts in a couple of weeks - absolutely no idea if eurosplot's televising this year's edition, but if we go for optimism and assume they are, then in between lengthy training runs, we're all likely to turn into couch potatoes, cheering on whoever we fancy for the win (moot point, but do cycling fans actually sit on the couch and cheer?). 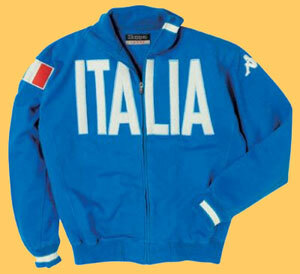 and in order to complete this mental picture to a degree of satisfaction, wearing this 1936 inspired 'italia' sweater by kappa. i have a lampre caffita sweater from a few years back also made by kappa and it is quite superb - this looks like the same style. and at £39.95 (around $80) it's worth every last penny. 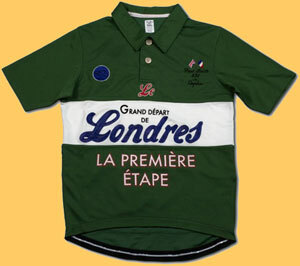 and in an excellent piece of serendipity it's also available from prendas. so that makes it really easy to buy both. long, long ago, far, far away, when i was at art college, ceramics described the department where jugs, cups, vases, busts etc. were made, glazed and popped in a very hot kiln to appear several hours later, hot and bothered but a lot shinier than they were when they went in. and i have no real idea how this use of the word ceramics translated into a way of making metal bearings allegedly 1000 times more round than the very round bearings that i have in thewashingmachinepost bike shed in little poly packets (much the same thing has happened to r'n'b, but that's probably a different website). several thousand pixels ago i filled some of those pixels with words about this latest craze in the peloton and beyond, to make life hundreds of degrees smoother by replacing all the normal bearings with ceramics costing just a little bit more (well, a lot more actually). and i have been disparaging in my enthusiasm for such upgrades based on nothing more than a healthy dose of scepticism. and that doesn't really seem very fair, considering there is just the possibility that manufacturing ceramic bearings does cost that much, and they might just exhibit the drag reducing properties that are claimed. since thewashingmachinepost doesn't quite have the clout that delivers a fully ceramic equipped bicycle for review, we have opted for perhaps the cheapest ceramic upgrade available to the average cyclist, and maybe even the easiest to fit - derailleur jockey wheels. fsa distributors, windwave, have supplied a pair of campag compatible jockey wheels fitted with the notorious ceramic bearings which will be fitted to the company colnago to find out if there is any noticeable difference. since these retail at around £60 compared to as little as £13, i'd certainly hope to notice some advantage. 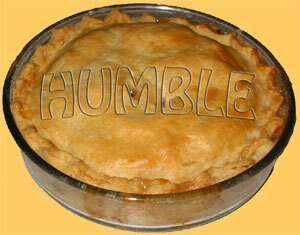 well, there's nothing worse than setting off to road test a nice new bit of kit and discovering within the first three hundred metres that not only has it just written its own review, but that your initial prejudices against the item have been completely unfounded, your utterly wrong, and now have to eat humble pie. that's exactly what happened this morning after fitting the review pair of fsa ceramic bearing jockey wheels. inside the cardboard box, along with the expensive bits, are four sets of plastic bushings and a little leaflet explaining which ones to use depending on which type of derailleur you intend fitting them. 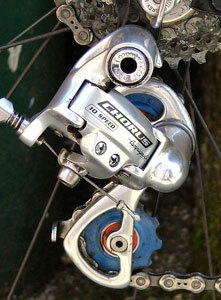 the campag compatible wheels are blue, while the shimanos are red. 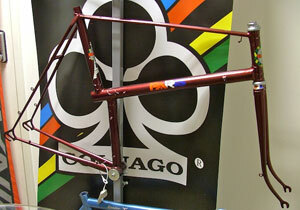 this colour co-ordinates beautifully with the rest of the colnago. the jockeys are really easy to fit - undo the allen bolts (one at a time is easier if you're doing this while the chain is still fitted) remove the relevant wheel and fit the new one (they're marked top or bottom, though i couldn't detect any difference between the two). then check that the bolts are replaced correctly and as tight as they'll go, since it wouldn't be fun if one fell out when you're on the road. as i said above, i only pedalled about three hundred metres and i could already tell the difference. changing was better, though that may have been due to having fitted new pulley wheels anyway, but the loss of friction was a big surprise - i honestly figured that the £60 price tag was a con and that there was no way on this earth that anyone could notice the difference with such a minor change of equipment. well, i was wrong, and i'm quite happy to admit it. if the bottom bracket and hubs were fitted with ceramics, the bike would almost ride itself, given a modest breeze, though i think we can agree that the resulting bank deficit would be anything but modest. only you can decide if they are worth this sort of money, but i am a total convert and will never slag off ceramic bearings ever again, no matter which obscure component they manage to fit them to. not that i want to complain you understand, but since i am one of those cyclists who insists that the bicycle is in pristine condition at all times, even when all around is in a permanent state of degradation, nothing irritates more than a dose of the old ferrous oxide. this is made all the more irritating by the fact that most of the company colnago is carbon fibre and alloy, and rust has very few places to take hold. but that's the problem with rust. much like water always finding its own level, rust seems to seek out the very places where it can gain a foothold. of course, this would be made a great deal harder if the manufacturers of bicycle components paid just a wee bit more attention to detail at the design or manufacturing stage. by way of illustration, this rant was initiated by my rear brake cable (metaphorically speaking) which was fitted just before christmas. this let's you appreciate that it has suffered the worst of an islay winter - something that can be quite harsh on occasion. but while previous brake cables have suffered in silence and come out the other end all shiny shiny, this particular example has corrosion written all over its face. well, all over the bit that sits exposed under the top tube. that this means it is visible to the entire world has brought shame and humiliation to all the family (well, apart from mrs washingmachinepost and the kids). and there's nothing guaranteed more to bring home how undesirable this is, than pulling on the rear brake at the start of the morning commute, and finding that mechanical action has been rescinded. so the inner wire has now been replaced (with much footering at the lever end) in the hope that this replacement is stainless steel - i coudn't find any labelling on the packet that would reassure me. but while the wire was being fitted to the pinch bolt on the caliper, was just the reminder i didn't need that the forward facing surfaces of these bolts were rusted beyond description. so when campagnolo were designing their chorus brake calipers from unrustable alloy, why on earth did it not occur to someone to make the bolt assembly out of stainless something? i doubt it would have added much to the overall cost and would have kept everything shiny for ever. or doesn't it rain in italy? a bike shop is a bike shop is a bike shop. probably. though if you are one of the fortunate few to live in the middle of civilisation as we know it (islay, for example) bike shops are hard to come by, particularly bike shops with a history. and while there are probably a number of such in the london area, a bit like wanting to travel on the staten island ferry in new york, when in london i really wanted to visit condor cycles in grays inn road. so i did. somehow, grays inn road itself didn't quite match the mental picture i had before travelling several hundred miles to see it, but condor cycles certainly didn't disappoint. not as large as the current trend for out of town cycle superstores, but despite what others say, size isn't everything. never mind the quality, feel the width. 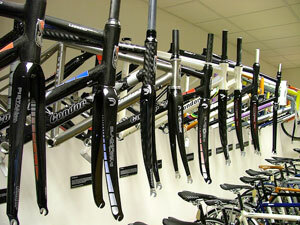 condor cycles occupies a ground floor and basement with clothing (including a rapha 'store within a store') and componentry occupying the upper, and a very large range of condor bicycles in the basement. aside from their own frames/bikes, condor are also colnago dealers, and their showroom sported, at the time i was there, two master x-light steel frames complete with precisa steel forks. a drool moment. and adding to that moment (see photo right) was a condor paris frame, reviving an age old design for the contemporary cyclist. for the sake of authenticity, i ignored the colnago banner in front of which it was positioned. while the display contained predominantly road bikes and frames (no argument from me), unless your pleasure is full suspension downhill bone shattering, you'd be hard pressed not to find a steed to meet your requirements. 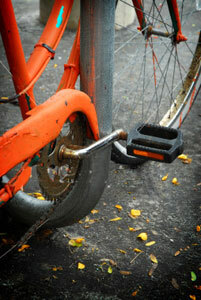 and in the true spirit of bike window shopping as it should be, the staff were helpful and non-intrusive. a condor moment indeed. if you don't have the sheer good fortune to be london bound anytime soon, visit their website and download a catalogue. it'll have to do until you actually get there. is this the most expensive jersey you've ever seen? the name (sir) paul smith either means something or nothing to you, depending on which part of the rarefied atmosphere you inhabit. if you're one of those arty types (moi?) the name will be recognised as a leading light in british and world fashion. otherwise, it could be the bloke down the road. or you may just have seen the paul smith adverts in rouleur. and therein lies a connection. paul smith had plans to become a professional cyclist until he had an accident at the age of 17 which pretty much put paid to that particular future. and despite moving into the world of fashion, he has retained an enthusiasm for this greatest of sports. which is a fortunate turn of events for us, since the fashion and cycling link has turned up via rapha with a strictly limited edition jersey to commemorate the tour's london start in july this year. it is, indeed, a fine piece of cloth, fit for the most stylish of cyclists, and also for those of bulging wallet - a bulging wallet that contains £175 ($295). the jerseys will be available from the middle of next month from rapha or paul smith stores and will be joined by a range of paul smith/rapha tweed/houndstooth cycling caps in june. time to go have a word with the bank manager again. 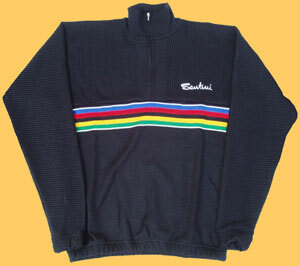 and just while we're here, appearing on the rapha market just slightly after paul smith's will be this beauty. if, like me, you have a zipp holdall full of ageing lycra jerseys that you would now be hideously embarrassed to wear, this is a particularly stylish alternative. granted you could probably manage a bucketload of polti, saeco and kelme jerseys for this sort of money (£125 - $200) but we both now just how elegant you'd look in one of those. quality demands payment. the rapha condor jersey is made from the same super-light sportwool employed by the new forthcoming summer jersey, and proceeds from sales will go directly to financing the cycle team of the same name. and considering their current run of success, this seems like a sound investment. rapha are only making 200 of these jerseys available, all individually numbered, with pump pocket, cargo pocket and zipped pocket. 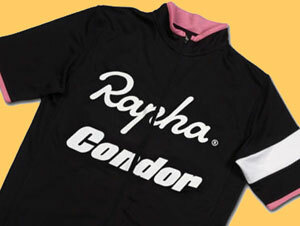 the rapha condor team print adorns the front and back. only hope is that they don't call me when they're a man down. viewing habits are changing. 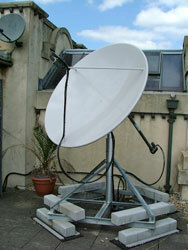 there are now a number of internet tv stations, (there's even one broadcasting stuff about malt whisky - a subject close to an ileach's heart) but there's only one that promises to save us from returning to the dark days of waiting for a tattered copy of l'equipe to appear from across the channel, and hoping that our french was up to understanding what it said. regular readers will have sussed already that i am talking about the mccrossan and smith show on cycling.tv that has single-handedly rescued live cycling from the depths of the ever deepening pit that is british eurosplot. as part of the recent expedition to london, thewashingmachinepost spent a very enjoyable and interesting few hours at cycling.tv's london studios - and there was even a bottle of bunnahabhain in the md's office. thewashingmachinepost endured the ferry, bus, sleeper triumvirate last week for a visit to the great metropolis of london for purely cycle related purposes. two of those purposes have already been related below - meeting with the guardian's cycling columnist matt seaton, and going to see the graeme obree movie. 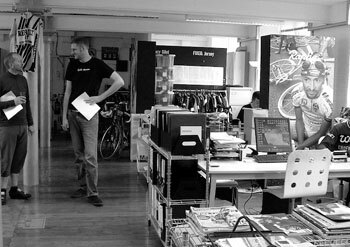 however, prior to the latter, we went to see the chaps (and chapess) at rapha in their office in perren street. pilgrimage would possibly be a more accurate description. we were warmly welcomed, and had a chance to look at some of the new products on the horizon. guy andrews was also gracious enough to spend some conversation time discussing past, present and future issues of rouleur. don't you just love a provocative heading? in the context of its statement, it does make sense. graeme obree has just attempted the world hour record at hamar in norway and failed. but since his support team have booked the wcf (the uci, in our world) for 24 hours, graeme decides to go again the next day. the 'hein verbruggen' body double then says 'you english are all mad', resulting in the phrase used in the heading. why am i telling you all this? well, on 6th july, just as the tour de france is about to start in london, 'the flying scotsman' opens in uk cinemas nationwide. and such is thewashingmachinepost's knack of managing to be in the right place at the right time, we had the opportunity to see a preview of the movie in london on tuesday 17th april. if you take into account that it was obree who inspired the name of this very website, and that my technical support for the evening was matt seaton you can imagine what a very cool evening that was. but a viewing initially fraught with anticipation of it being all going horribly wrong. accusing me of being a cycling nut would be to undervalue my fanaticism, and the post attending a movie about the exploits of one of scotland's cycling heroes would be entirely unremarkable. but this is a film that is going on general release in general cinemas, so would civilians be tempted to move their non-cycling butts into folding seats to watch moving pictures all about an obscure scotsman who cycled a home made bike round and round in circles, albeit very quickly? well, we can rest easy now. the other member of my technical support team was my 15 year old son, who is as interested in cycling as i am in three-ply knitting patterns. and he enjoyed all 96 minutes (granted, we were sitting in very plush armchairs in a private cinema within a very posh hotel in london, but...). the facts remain immutable. obree did break the hour record at the second attempt within a 24 hour period. he did invent two demonstrably aerodynamic cycling positions based entirely on intuition, and he did win the 4,000 metre pursuit world championship twice. oh, and he broke the hour record a second time. through all this he suffered terribly from bipolar disorder and serious bouts of depression while the uci managed to ban both of his cycling positions based on little more than the fact that they didn't like them. the film contains all of this, but a number of features of graeme's life and career have been 'modified' to fit the demands of a feature film. and while the purists amongst us may baulk at this 'massaging', it has resulted in a better flow than direct filming of graeme's autobiography. the uci has been converted to the wcf - world cycling federation - for celluloid, but its portrayal will ensure that the hein verbruggen character (stephen berkoff) is unlikely to be first in the queue (every movie has to have a 'baddie'). 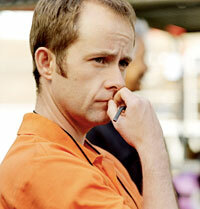 and the mileage required to break the hour is described by malky (billy boyd) as 'the distance between prestwick and glasgow' i can identify with that. 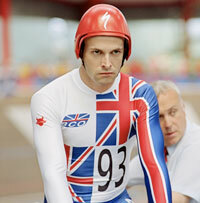 jonny miller's portrayal of obree is little short of magic. not being much of a film buff, i had no idea that he wasn't even scots. an ayrshire accent is not really remarkable enough to stand out in a crowd (i know, i have that accent) - that miller achieved this so convincingly, has great bearing on the film's authenticity. this is aided and abetted by the fact that miller was enthusiastic enough to spend many a long hour training to ride a bike fairly quickly. i'm sure most of the post readers in the uk will be well enough disposed towards a film about obree, but the ultimate success of this film rests on how many civilians do likewise. but its relevance and genius allow those of us who are members of the great unwashed, to confidently go forth among the unconverted and spread the word without the least hint of the whole thing blowing up in our collective face. 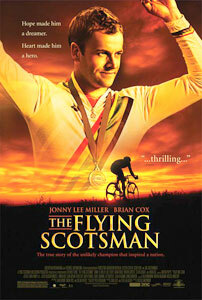 a brilliant film about one of the world's true cycling geniuses.